In its efforts to provide its customers with superior and affordable wireless services, Idea Cellular; India’s fastest growing telecom operator, announced upto 62% reduction in the MRP of various recharge packs available in Karnataka. Idea customers in the region can now avail same benefits at a much reduced cost. The Idea pack priced at Rs. 84 with Idea to Idea local call benefit of 10 paisa/minute is now available at just Rs. 32 (62% reduction) and Rs. 65 pack that provided the benefit of local mobile calls at 30 paisa/minute is now priced at Rs. 29 only (55% reduction). Another pack with STD call benefit at 25 paisa/minute can now be availed at Rs. 28, this pack was earlier priced at Rs. 67 (58% reduction). 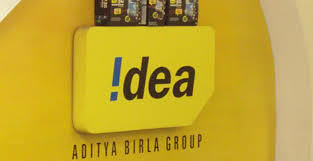 Idea is one of the leading operator in Karnataka serving 8.5 million customers. The company provides 2G services on superior 900MHz, high speed 4G services on 1800Mhz and 3G services through ICR.